A summary of the 'Bloody Fingerprint Issue' post December 2001 appeal, concluding that there is now no valid evidence before the court that the substance of the stain was indeed blood. 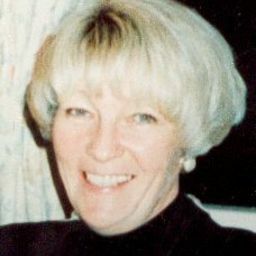 The trial judge stated that the 'main plank' of the case against Susan was the claim that her fingerprint had been found in her aunt's blood on a wall adjacent to the body. In rehearsing the evidence I hope to show that the claim was always suspect and that now, because of evidence heard at the last appeal, what evidence there was has been withdrawn or excluded by police and prosecution admissions. I will be as brief as reasonable clarity permits. At trial it was said that three blood stains, JH1- a right handprint with a fingerprint identified as Susan's, JH2 - a left handprint with no identifying marks and MSN 14 - a smear near the light switch, was the 'main plank' of the prosecutions case. The stains occurred from left to right in the order as stated, about four foot six inches from the floor on a wall adjacent to the deceased in the bed. All the stains were said to be 'faint'. It was claimed that all the stains were made in the same substance and came from Susan's hands at the time she killed her aunt. On the first day photographs were taken of JH1 and JH2 but not of MSN 14. All three stains were presumed to be blood and tested positive by forensic scientist Mr Davie using a Kastle-Meyer test, which is a presumptive test. The next day fingerprint expert Abbott failed to identify any fingerprints. The stain substance had been liquid and it had run, blurring and obscuring the identifying marks. (Question - If Susan made the stains as she killed her aunt and there was enough blood for it to run why were they 'faint'? This question has never been asked or answered). Five days later on 17 March (possibly 26 March, there is some confusion) a fourth stain was found, MJD 28; this was never referred to at trial. It was said that this stain existed prior to the murder as some towels had covered it at the time. One day later, on 18 March, MSN 14, with its control sample MSN 15 were taken from the wall. They, along with MJD 28, arrived at Dr Basely's lab for testing on the 8 April some eight days after Susan's arrest. MSN 14 proved to be of human origin, not necessarily from the deceased. Nothing more could be said about MJD 28. The reason Dr Basely gave for not being more successful was "insufficient DNA present or the DNA was too degraded." This statement supports Susan's claim that the stains were probably old. His report was submitted in May. The following day, on19 March, Mr Hussain arrived to try to chemically enhance the stains to obtain fingerprints. First he applied iodine and then he applied ninhydrin to all three areas and the fingerprint in JH1 was identified as Susan's. Each test he made left a differently coloured chemical residue. Mr Hussain returned on 24 March, the day after Susan had become the prime suspect, and using a TAB presumptive test for blood obtained a positive result. It was this test that was to be relied on in court, not that of Mr Davie. The whole wall was now subjected to further chemical enhancement tests without finding any other marks. On the 29 April, some six weeks after the murder, the stains JH1 and JH2 are taken from the wall to Mr Davie who tested them in his lab and could not find them to be of human origin. He blamed Mr Hussain's tests for this failure saying, "In the course of this identification they were subjected to a chemical enhancement process which probably interfered with the species identification tests." This is the main body of evidence relating to the bloody fingerprint issue. "So you know that in the expert opinion of Mr Hussain all three marks were made in wet blood. You know that in the expert opinion of Dr Basely the right hand mark was made by human blood and you know in the expert of Miss Symmons the left hand mark was made by the defendant's right hand and fingers." [Only Mr Hussain and Dr Basely are referred to]. "Members of the jury, I am afraid that I do not remember (and it is not clear in my note) whether anyone tried to test blood in that regard [to see if they were of human origin] from all three sites or only the samples taken from the right hand one. I think it was only the samples taken from the right hand one, but it matters not because the tests were inconclusive." If these tests were inconclusive they should not have formed the 'main plank' of the prosecution case especially when the judge and therefore the jury were not clear about what tests had actually taken place. Mr Davie, at trial, was only called to testify that the blood would be dry by the time Susan arrived and found the body. His testimony at trial, therefore, contradicted his pre-trial written statement that said, "At the time of my examination (ca 1330) (1330) I noted three small bloodstains which appeared to be wet" [Click here to see the original statement]. Qn - "Would blood have been wet when niece came in (ca 0900)." Ans - "Still damp on pillow when I got to scene" [Click here to see telephone conversation notes ADMIN]. It was central to the prosecution case that the blood should be dry so that even if Susan, on discovering her aunt's body, had touched the face or pillow she could not at that time have made the incriminating marks. At trial Supt Kerr had testified that he touched the blood on the face and on the pillow and that it was dry, he said he was 'making sure that she was dead'. At the last appeal Supt Kerr reaffirmed that he had touched the bloody areas but this time he said it was 'to check the temperature to see how long she might have been dead for'. Supt Kerr would not, of course, have contaminated the crime scene by touching the body that morning; the notes of the telephone conversation make that clear. Kerr and Davie colluded in this deception before the jury. The evidence at trial was from Dr Basely and Mr Hussain only. We have no problem with Dr Basely who said that the third stain MSN 14 was human, as Prof Brinkman, in tests subsequent to trial, has confirmed this, finding it 'probably to be the blood of the deceased.' It was Prof Brinkman's more powerful test that proved this and Dr Basely's observation that there was "insufficient DNA present or the DNA was too degraded." helps Susan's case which is that the stains, whatever they are, are probably 'old'. Neither the Forensic Science Services for the prosecution or Prof Brinkman for the defence could get a positive result when testing JH1, the stain with the fingerprint, for blood of any kind. It is Susan's case that the third stain cannot be shown to be the same as the other two stains. There is no photographic evidence, either still or video, of the third stain from the first day. Though all who were present were asked, only Kerr and the dubious assistant to Davie say they saw it that day (Davies' assistant had to change her mind from evidence that she gave to the CCRC to make this testimony at the last appeal). If Supt Kerr did touch the body he could have made MSN 14 himself or, more likely, the ambulance men when they examined the body or another officer at the time of its removal, when it is admitted that there would be wet blood around. It was a mighty leap of 'inference' that allowed this stain to be linked to the others. This 'inference' would not have been so easy to make if MJD 28, the stain said to be there prior to the murder, had been known about by the jury. "it [they] reacted exactly as a scientist would expect blood to react and Mr Hussain, the scientist, concluded that it was blood and he said he could think of no other material which would react as it did. … he could not state categorically that it was blood …. he was certain it was blood." NB: He is not saying that it is either human blood or Hilda's (the deceased) blood, only that it is blood of some kind. At the last appeal Dr Clayton, for the prosecution, provided evidence that had the stain been in horseradish sauce or rust it would also have given a positive result to Mr Hussain's test. They were not tested to eliminate these other alternatives. "The decision was taken to identify the prints, as this was deemed more important to the enquiry than identifying the substance at that time. The marks were then useless for anything else owing to the general heat of the house and the tests that had been conducted on them in trying to identify the prints." He then adds to his statement in his own hand; "This was after full discussion and advise from scientists." By this statement Mr Hussain's test is declared to be 'useless' because it was made after the fingerprint chemical enhancement tests. With this revelation that undermines the credibility of Mr Hussain's test, which is substantiated by Mr Davies' comment above (the "chemical enhancement process [...] interfered with the species identification tests") there is now no evidence before the courts that speaks to the nature of the substance of the stains. The 'main plank' is gone. It would be interesting to read the notes from Supt Kerr's 'full discussion with scientists'. I rather expect that they do not exist but even if they do, for Mr Hussain's test results to be valid, we would need to see another set of discussion notes that show the conclusions from the first notes to be invalid. The results of the tests on JH1 and JH2 by Prof Brinkman are even more invalid as they also occurred after the second set of extra chemical enhancement treatments. As regards JH1 and JH2; Mr Davies' evidence is withdrawn, Mr Hussain's and Prof Brinkman's is 'useless' and Dr Basely's, whilst valid in itself, is only relevant to MSN 14 and when standing on its own it supports Susan's claim that the stains are probably old stains. The import of Supt Kerr's evidence to the court of appeal, that Hussain's test was 'useless', went unnoticed by Counsel for both sides. The Main Plank is gone. The conviction is clearly unsafe!